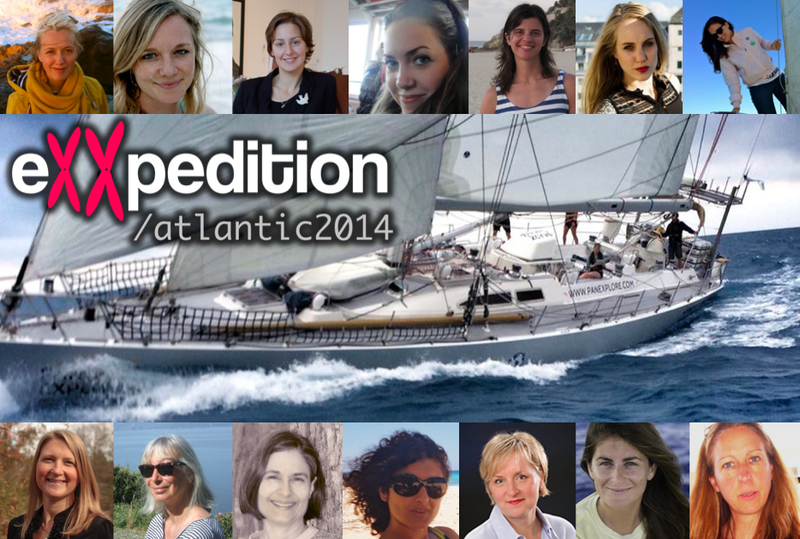 On the 16th of November 2014 the first eXXpedition set sail with a crew of 14 women across the Atlantic in search of answers relating the health of our environment to the health of our bodies. They found far more than they ever expected! Follow this link to download the film! Lucy is an Environmental Scientist with a BSc (1st), in Biological Sciences and a Phd in Microbial Ecology & Soil Science. Lucy worked as a post-doctoral research scientist at Rothamsted Research before joining the UK Civil Service to work as science advisor for Defra. Her portfolio of work consisted of advising on ecotoxicology including endocrine disruptors, nanotechnology, heavy metals, climate change, biodiversity and sustainable food production. 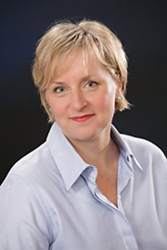 Lucy is an experienced speaker having presented at conferences, universities and governance institutions around the world. She consults globally on wide range of environmental and food related topics and has recently worked at Singularity University advising on the challenge of food security as part of the curriculum for the Graduate Studies Program (2013). The GSP class brings together 80 change-makers from 35+ countries. Lucy is a Founder and Director of New Dawn Traders, a partnership of Artists, Scientists, and Chefs re-imagining global trade by sail power. Lucy has sailed all her life and represented Exeter University in British University Sailing Association championships as well as leading the University Club as Commodore in her final year of studies. She is an experienced Yacht racer and has crossed the Atlantic twice. Lucy is passionate about sailing & the sea, biodiversity & nature, activism & storytelling for a greener cleaner planet. Emily Penn is an oceans advocate, skipper and artist who has extensive exploration experience in the Atlantic and Pacific Oceans. She is a graduate of Cambridge University with a degree in Sustainable Architecture; and Director of global organisation Pangaea Explorations; and the first and youngest woman to be awarded the international Yachtmaster of the Year. Emily rounded the planet on the biofuelled Earthrace boat; spent 6 months living on a tiny Tongan island organising the largest ever community led rubbish clean-up; and discovered previously unknown oceanic gyres – huge areas of plastic pollution accumulation. Shanley McEntee: Professional sailor & First Mate of Sea Dragon. www.panexplore.com. Shanley was born and raised in San Diego, CA and graduated with a BA in Environmental Policy and a minor in Environmental Science from Western Washington University. Having grown up by the sea, she holds a deep passion for Mother Ocean and our ever-growing need for protection and awareness of the problems our environment is facing. She enjoys anything having to do with the sea, from surfing to scuba diving to sailing, and loves offshore passages. She is PADI Rescue Diver certified and holds an IYT Master of Yatchs Offshore with commercial endorsement. Laura Coleman is the Director of The ONCA Trust, an environmental arts charity based in Brighton. Laura is a graduate of the University of East Anglia and has a Masters Degree in History of Art from the University of York. She has worked for six years on grassroots conservation projects, predominantly in Greece, Spain, Norway and South America. In Bolivia she worked for Comunidad Inti Wara Yassi, rehabilitating animals rescued from black market trade. On her return to the UK, she founded ONCA – One Network for Conservation and the Arts – with the view to setting up a space in which to explore ecology through art, storytelling and performance. The ONCA Gallery now runs programmes of exhibitions and workshops that initiate conversations and ask creative questions about our changing environment, whilst raising funds and awareness for frontline conservation projects. As well as running The ONCA Trust and Gallery, Laura is an artist, curator, conservationist, teacher and explorer. You can find more information about Laura and ONCA at www.onca.org.uk. Caterina is an industrial and strategist designer, technology lover and sailor. She graduated in product and communication design at ISIA Firenze and worked at WAACS Design & Consultancy in Rotterdam, Netherlands, in Tanzania as interior designer and photographer and studied Product Design in Finland. She is currently living in Milan and working at Design Group Italia as industrial designer, UX researcher and strategist. Her daily job is to design experiences, research trends, map new technologies and look for market opportunities for clients as 3M “Innovative technology for a changing word”, Pepsico and Unilever. Caterina is a multi-awarded designer in national and international design contest her projects are based on future vision possibilities, new technologies and new way of living in favor of clean, natural, sustainable and healthy ways of living. Caterina is an experienced speaker having presented at conferences around the world as TEDx and Ciudad De las Ideas in Mexico. Diana Papoulias: Ecotoxicologist and fish specialist. Masters in Fish Ecology from Arizona State University, and Phd in Fish Endocrinology worked in Arizona Game & Fish Department & 25 years in US Department of Interior. As an undergrad I became passionate about fish. Influenced by Frances Moore Lappé’s work on sustainable food systems and the New Alchemy Institutes’ fish and vegetable growing methods, I designed an experiential academic program at Prescott College. This allowed me to go build a fish farm at an orphanage, Nuestros Pequeños Hermanos in central Mexico to provide inexpensive protein for the 1000 children. That was nearly 35 years ago, and the farm continues to feed the children fish!!! I went on to get a master’s degree at Arizona State University in fish ecology studying the larval early life stage of the very rare razorback sucker in the Colorado River. Immediately after getting my Master’s degree I got a dream job with the Arizona Game and Fish Department trekking through remote areas of the state of Arizona looking for rare fish. That lasted a year before I moved to central Missouri and took a job with the US Department of Interior (DOI) at one of their national contaminant research laboratories. This past February, I retired after 25 years with the DOI US Geological Survey’s Columbia Environmental Research Center (http://www.cerc.usgs.gov/StaffMembers.aspx?StaffMemberId=83). During those 25 years, I got my PhD at the University of Missouri where I studied the effects of endocrine disrupting chemicals on sexual development in fish. As a research fish biologist for the USGS, I studied the reproductive health effects of chemicals and non-chemical environmental stressors on fish and amphibians throughout the US and in many parts of the world. I have authored or co-authored approximately 100 articles and reports on the effects of endocrine disrupting chemicals, dioxins, PCBs, metals, and oil on fish. In addition to my research, I served on several governmental US-Mexico committees supporting protection of natural resources, and was a liaison between the USGS research team and a research team at the Russian Academy of Sciences’ Institute of Biology of Inland Waters, Borok, Russia. I have seen firsthand what environmental chemicals do to an organism from its molecules to its tissues to its physiology to its behavior. Fish and wildlife are harbingers of environmental quality. What happens to the animals on this planet, be it from pollution or climate change, will befall us. Therefore, I am now dedicated to promoting an understanding of environmental health and actively participating in prevention, mitigation, remediation, and restoration of chemically damaged ecosystems. I am doing this as principal aquatic toxicologist with Hughes Environmental Consulting, Newburyport, Massachusetts and as a board member and aquatic toxicologist for E-tech International (http://www.etechinternational.org/), an NGO working with indigenous communities in South and Central America to help them protect their native lands from contamination from natural resource extraction industries. I split my time between my hometown on the New England coast and at my rural Missouri home where my husband and I have returned a large acreage from soy bean fields to native prairie. We also are sustenance farmers growing and hunting much of our food. I love to travel, swim, scuba, play racquetball, do yoga and kayak. In fact, for the second time, I will enter a 340-mile kayak race on the Missouri River from Kansas City to St. Louis. In 2010, my boat partner and I took third place. On the expedition I will share my knowledge and understanding of the science behind the issue of endocrine disruption and the biological wonders of fish. The female reproductive system and the developing fetus are exquisitely sensitive to environmental contaminants. Because I have spent many years researching the effects of a variety of chemicals on the reproductive system and early development, albeit of fish, I will be able to make the links between the chemicals the crew is studying and the harmful effects of those chemicals. I have always been fascinated by the plastic gyres and gravely concerned about ocean plastic. Conceptually, we know that a large amount of our waste ends up in the oceans, but chemicals and nutrients aren’t visible. The grotesque gyres make us face reality. The expedition provides me a fantastic opportunity to combine my zeal for science, adventure, and all things aquatic. It is the perfect beginning for my personal journey forward beyond the laboratory into an encore career promoting environmental health and impeding global chemical contamination. Jen is a geographer and filmmaker fascinated by human-environment interaction. She has a BA in Geography (2:1) and an MSc in Environment, Science & Society (Distinction) from the University College of London. 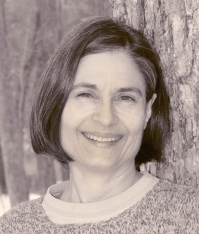 Her academic research explored environmental management and experience, film as an emancipatory tool for environmental education, as well as geographies of health and biological identity. She has been involved in several research, filmmaking and sport expeditions in a diverse range of roles. In 2009, she led a UCL-funded research expedition to British Columbia and in 2010 was a member of the Lost World Project documentary-making expedition to Venezuela’s Mount Roraima. Following this expedition, Jen set up her film company, Your Frontier (www.yourfrontier.co.uk) to raise awareness of worldwide expeditions as well as social and environmental responsibility projects. She has since been Marketing Manager and Head of Media for several world-first expeditions including Row Zambezi (2011) and the Yangtze Adventure (2013). For the past year she has worked at the UK Energy Research Centre at the Oxford University Centre for the Environment, bringing together academic, industrial and political groups/individuals to bridge gaps in understanding and action around UK energy issues and climate change. She is also a Relationships Manager for Ibex Earth’s ‘Our World: Our Choice’ initiative, which aims to raise awareness of the importance of preserving global biodiversity and find ways to offer support to environmental and conservation charities including the Galapagos Conservation Trust, the World Land Trust and ZSL’s EDGE of Existence Programme. She is passionate about health, well-being and outdoor fitness. She is a keen runner and paddleboarder, certified as a SUP and PaddleFit Instructor. She is also Co-owner/Operator of an environmentally sustainable outdoor recreation park in Canada called Windmill Lake (www.windmill-lake.ca) which she hopes will be a springboard for community health initiatives in South-Western Ontario. The mission and aims of the Atlantic eXXpedition hold personal significance for Jen due to the diagnosis, care and loss of several family members and close friends to cancer. She is very excited to be a part of this incredible project that will allow her to explore her own health, behaviour and relationship with the environment while encouraging others to do the same. She is passionate about producing a wide range of high impact film-based outputs from this expedition and showcasing them internationally through different forums. This is a unique opportunity to have a tangible impact on the communication and understanding of human/environmental health and she can’t wait to get onboard! From direct action to stop oil drilling in Norway to representing her country in International Climate negotiations, our latest recruit Malin is a girl with a global mission. Great to have you on board! Malin Jacob is a Norwegian environmentalist. Currently she is studying political science at the University of Oslo, Norway, where she is writing her bachelor paper on environmental policy in the Arctic. Besides this she is also a blogger at Grønne Jenter (gronnejenter.no) (“Green Girls”), a blog by ten girls who focus on eco-friendly everyday life, consumer questions, and politics. In 2008, when she was 18 years old, she was awarded “Environmental Hero of the Year” by one of the largest newspapers in Norway (Aftenposten). The jury decided to award her on the background of her participation in stopping Hydro from drilling for oil along the southern coast of Norway. During the international climate negotiations in Copenhagen, Malin was the Norwegian youth delegate. She has also been a judge in a climate-based TV show on the Norwegian state channel, NRK. After ten years as a desk based environmental activist, Malin found that she had to get out of the office and experience nature. She recently received a sponsorship spanning six months to write about outdoor activities, to raise awareness about nature, ecosystems, and climate change. Check out her web page: www.malinjacob.no. Malin has no sailing experience, and expects to spend quite some time over the gunwale, feeding the crabs. However, she also expects this will be the adventure of her life! Constança graduated in marine biology in Portugal and she has been working with marine and coastal ecosystem management ever since. Holding a Masters Degree in Environmental Sciences from the University of São Paulo, her life path has led her to bridge between science, policy and society keeping sustainability at its core. She is currently living in Copenhagen, Denmark working on marine issues at the European Environment Agency (EEA). The EEA is a European public institution that supports environmental and climate policy implementation and assessments. Contaminants and marine litter are part of her core work. She is also leading a citizen science project to collect data on beach litter throughout Europe – Marine LitterWatch. Synchronicities and a great desire to grab opportunities and dive into the unknown have led her to join eXXpedition. An adventure Constança decided to take in her personal time, as she sees it as a unique opportunity to reconnect to the sea and herself. She also hopes to gain live insight about the interconnection between healthy seas and human well-being – and be inspired to take it to new realms! The sea is her passion and also one of her greatest fears. Her life drivers are love, family, friends, good times and trying to make the world she can touch a better place for all. Sailor, activist, ecotherapist, gardener, grandmother! Without doubt Sue’s therapy skills, cooking skills and long held perspective on environmental and community experience will enrich our mission. Sue is a coastal skipper, used to sailing offshore in scottish waters but never yet beyond St Kilda. This voyage brings together much that she holds dear – women, the ocean, health and the need for deep change and she still feels amazed to have the privilege of taking part. Sue recently left her therapy practice and moved to beautiful scottish Isle of Arran to walk and sail, plant trees, pick up plastic off the beaches and get involved in community activity, particularly around zero waste and local marine environment. After a half a lifetime working as psychotherapist in universities and the NHS, she is ready to refocus and concentrate on the needs of the wider earth and sea community. Ecopsychology supports awareness of the ways in which we relate to the non-human world around us and of the deep physical, emotional, spiritual connections between all beings. Sue believes passionately in the need to make the connections between the ways we live, environmental pollution and levels of sickness, and values highly the chance to contribute to scientific research in this field. As an ex Greenham woman, Sue trusts the power of women working together creatively to change deeply entrenched systems. Raising awareness and tackling the issues of the huge volumes of plastic waste in our oceans is a great undertaking – immensely important for the deep ocean and its creatures, as well as for humanity. Maria is the latest addition to the crew. She graduated with a BA Hons in Fine Art from Camberwell School of Art & a Postgraduate degree in Art & Design Education from Goldsmith’s University, London. She is passionate advocate and lover of all things related to water. Maria’s work explores interactions between human manipulation of the natural world and vice versa trough the use of installation, sculpture, photography and film. By seeking human footprints upon water environments, and by using man-made objects that, subjected to randomly altering circumstances reveal hidden historicities, she questions our ability to identify and project knowledge backwards and forwards through time and space. Beachcombing and mudlarking the Thames has led to an obsession with plastic debris entering fluvial and marine environments. Since the 2011 Japanese earthquake, Maria has been intensively following numerous research on the Great Pacific garbage patches and producing 3Dimensional artworks made from plastic collected from several locations in the Atlantic and the Thames. Maria has collaborated with various architects on environmental projects. These include the Biomimicry-based: ‘ecoMachines _World Dubai Marine Life Incubators’, with EcologicStudio & the Architects Association, culminating in a book publication in 2011. The brief was to design a series of purpose-built underwater structures using Biomimicry and computer technology, to encourage the growth, expansion and adaptation of a healthy coral reef connected by sensors to a Scientific Research & Education Centre. ‘Empooling Landscapes’, with the University of East London, dealt with the exploration of the long-term effects of salt crystals on different building materials within the marshlands of the Coto de Doña Aña National Park, in Andalucía. Her role as artist on the expedition will be to produce a series of artworks that, in response to the trip’s findings, highlight the disruptive effects of microplastics as hormonal disruptors to both humans, and marine organisms. Maria is working on various ideas that as well as conveying this poignant message, will utilise these samples as literal Fossilised Time-Capsules-artworks providing alternative ways of preserving information for future study. Jenna is an Assistant Professor in the College of Engineering at the University of Georgia (UGA). She received her PhD in Environmental Engineering from the University of Florida. She then worked for the US EPA Office of Research and Development in Research Triangle Park, NC as an ORISE post-doc. She became a research professor at the University of New Hampshire and then moved to the University of Georgia in 2009. She is passionate about her work and has been conducting research in solid waste issues for 17 years with related projects on marine debris since 2001, especially projects related to location and spatial analysis, waste (debris) characterization, and mobile device usage (mapping, etc.). She has published numerous papers, several book chapters and given talks in many countries. She was PI of the NOAA partnership the Southeast Atlantic Marine Debris Initiative (SEA-MDI) and co-developer of the mobile app Marine Debris Tracker, a tool currently being used to log marine debris throughout the world. My story is like a three-legged stool. As a yatchmaster involved in sail training, mainly with all girl crews and with thousands of sea miles this trip, from a sailing prospective, is a dream chance to cross the Atlantic with an all women crew. Then there is the women’s health element; I have a niece, who is a teenage (female specific) cancer patient. Being part of a team trying to understand in more detail how environmental and specifically ocean toxins affect women’s health is a wonderful opportunity. For my own health and also to share this through the female branches of the youth organisations I work with, principally girl guides and scouts. My third leg, comes from my recent agricultural studies during which I realized the effects of human intervention on the environment, both land and sea and highlighted the fine balance of the environmental and the impact of farming. Elaine is an avid sailing enthusiast who has always felt the call of the ocean. Living in the centre of a large continent, however, means that she currently sails in the freshwater lakes of Ontario, enjoying the incredibly unique and fragile ecosystem of Georgian Bay (a UNESCO biosphere reserve). Her experiences and continuing education on the state of our oceans and freshwater systems have made a remarkable impression and led her to act on this. As a clinical neuropsychologist, she is also well aware of the accumulating evidence of how much exposure to toxics is leading to a worrisome increase in health concerns in children and adults both. As a parent to three children, two of whom are young women, this concern is particularly focused on their risks for cancer and reproductive problems in the coming years. Joining the Pangaea expedition is a first step in realizing several goals: contributing to the scientific study of the state of our oceans; studying the effects of the accumulating toxics and pollutants on health; and crossing an ocean in the company of knowledgeable, empowered women. Elaine hopes that through this experience, she will be able to contribute to further discussion on these critical issues among children and adults in her community, to both heighten understanding and to bridge the gap between understanding and much needed action.